21 May Why Aptitude Tests? Having trouble finding the position that best suits your skills and qualifications? Finding your ideal career path often requires difficult consideration of what you do best — and lots of trial and error. Fortunately, aptitude tests can help confirm your choice or point you in a different direction. If you feel out of place and want to find a more fulfilling and rewarding position, taking an aptitude test allows you to learn more about what you can offer an employer. Aptitude tests identify particular skills and characteristics that individuals may or may not recognize in themselves. These test not only helps define your personal and professional strengths and weaknesses — but they also determines what career field best fits you and which work atmosphere you thrive in. Skills Aptitude Tests: Demonstrate how well you complete certain tasks such as keyboard typing or data entry. Knowledge Aptitude Tests: Determine how much a candidate knows about the job they wish to acquire. 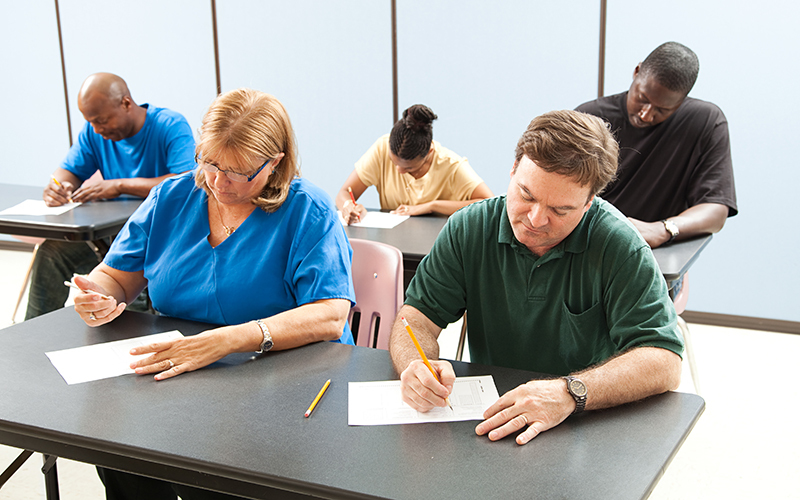 Ability Aptitude Tests: Used to measure cognitive or mental ability by presenting candidates with a workplace scenario to determine how they might react in that situation and why. Personality Aptitude Tests: Focuses on an individual’s openness to experience, extraversion, agreeableness, conscientiousness and emotional stability to identify what type of work environment works best. If you are unsure what type of aptitude test is best for you, consider contacting a professional. Many employers require candidates to take an aptitude test to determine whether an applicant is the right fit for their company. Interviews don’t always provide the in-depth look at the candidate that a company needs to make an informed decision. With aptitude testing, employers earn greater insight while getting to understand a candidate’s qualifications more precisely. Having employees aptitude tested gives you the results to confidently trust them within your business and know that they are the right fit for the job. For more information on aptitude testing from the experts at Grand Slam Investigations, please contact us here or call us directly at 231.359.1555.